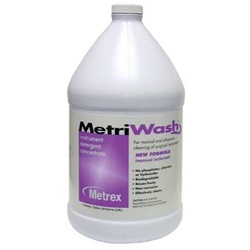 Liquid 1 gallon instrument detergent that is noncorrosive, biodegradable and contains no phosphates, chlorides, or hydroxides. 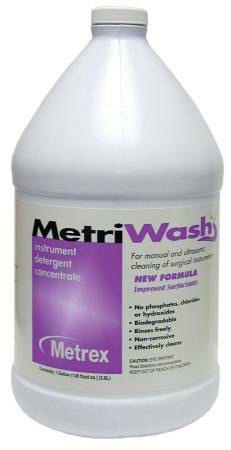 A neutral pH, low-foaming instrument detergent that effectively cleans and rinses freely from instruments. Manufactured by Metrex.